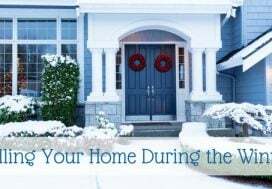 The recent stretch of warmer weather seems to have awakened many of us and has reactivated the real estate market after the usual winter slow down. Sellers are weighing their options and preparing their properties and buyers are making up wish lists and waiting for that perfect property to become available. The problem lately is that those perfect properties are few and far between. 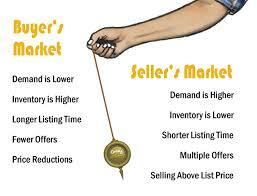 We’re seeing a classic Seller’s Market with low levels of inventory coupled with a high level of demand. Not sure how to make sure you navigate these market conditions successfully? Read on! When there are few new listings available it is important to keep tabs on things so that you’re aware of properties as soon as they become available. New properties can show up from day to day and if you’re slow to notice that perfect home you may miss your chance to see it, much less your chance to buy it. A good realtor will make sure you’re notified of any properties that look like a good fit, will take steps to let you view them and may even be able to make you aware of good listings before they hit the market. 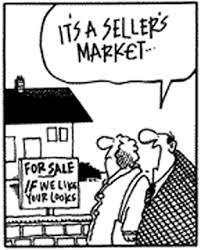 In a busy Seller’s Market time is not on your side. You’ll have less time to think things through, less time to get your ducks in a row and less time to act decisively. That’s why it is so important to get prepared ahead of time. Visit your lender to get pre-approved for a mortgage, line up a team of experts so that you know who to call to address potential issues as they arise, and be prepared to jump on things quickly when you find the property that speaks to you. Having said that, make sure you’re using a realtor who will ensure that any offer you make will keep you protected and is in your best interest, not theirs. A busy Seller’s Market is not the time to go looking for a deal. 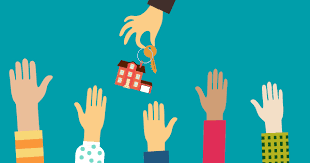 When the number of potential buyers outnumbers the amount of available homes, you’re in a competitive situation right from the start – even if yours is the only offer in play. Sellers know how many buyers are out there looking and they’re often prepared to wait for one who is able to pay them close to their asking price. That’s not to say that you’ll need to go in with a full price offer but it does mean that you’ll need to make sure the seller feels your offer is worth entertaining. How do you do that? Put your best foot forward. Limit the back and forth of negotiations by making your initial offer a strong one on price. Make a substantial deposit. This alerts the seller that you’re taking things seriously and are less likely to walk away from the deal. Most sellers would prefer to sell their properties quickly and hope to avoid having to deal with a series of offers that fall through. If you happen to be in a competitive offer situation, a healthy deposit can sometimes influence the seller to choose your offer to work with. Don’t Push For Throw-Ins. Inclusions will be shown on the listing and this is not the time to ask for extras that a seller never intended to give away. 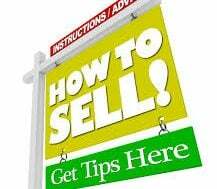 If there is something at the property that you are very interested in, your odds of acquiring it are far better if you get your offer accepted first and negotiate with the seller for that item separately, after the deal is done. A Seller’s Market won’t last forever so if you’re thinking of making a move you need to act quickly in order to take advantage of the situation. Don’t delay listing your property by over preparing. While the best strategy in a Buyer’s Market is to put some effort into making your home as attractive as possible to buyers, in a Seller’s Market your best bet is to get your home into market as quickly as possible before things balance out. Focus on quick, impactful updates and keeping things neat, clean and tidy. Delays could result in you missing the market. 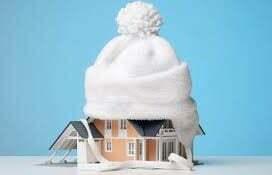 In a Seller’s Market, property owners are sometimes tempted to “test the market” by setting an inflated asking price. The thinking is that there are so many buyers out there, someone will agree to pay. The only problem is that buyers are just like you and me. They have a budget. They have limits put on them by their lender. They know (thanks to the great realtor they’re working with) what other comparable properties sold for in the recent past and they are just as likely to ignore yours if your asking price is substantially higher than it should be. Don’t let greed prevent you from selling. Take your realtor’s advice and set your list price within a range that makes your home most likely to attract buyers. There’s an interesting phenomenon in a Seller’s Market that has to do with decent offers sometimes being ignored in favour of something better that may come along. Say your home has been on the market for a few days and a buyer has submitted a good, strong offer. Avoid the temptation to get greedy by turning that offer down out of hand, thinking that an even better offer will be coming soon. The ugly truth is that that second “better” offer often never materializes. What does sometimes happen though, is that the property sits on the market for a few weeks until that first buyer comes back around and resubmits their offer. Only this time it is $10,000 lower than it was the first time. Offers that are made during the height of activity for a new listing are often made at the buyer’s top price because they’re trying to beat out their competition. Don’t miss the opportunity to benefit from that by waiting for the next best thing.